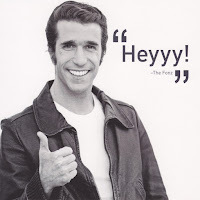 Presenting my rating system, which is naturally based on the Fonz's thumbs. Meh. A bit like my cousin Chachi. Some people will be impressed. Most won't. Not totally exactomundo, but still pretty good. Whoa! Terrible. Worse than that time I jumped the shark.